Using the Alexa Calling feature, owners of Amazon Echol devices can make phone calls that go device-to-device and even device-to-phone. But not to 911. Out of the box, Alexa does not support calls to 911 and other emergency service numbers (even if they are in your contacts). Due to regulatory compliance, you cannot currently use Alexa to call 911 directly. We'll explain workarounds that will allow Alexa to call 911 and introduce you to some Alexa skills that can connect you with help in an emergency. 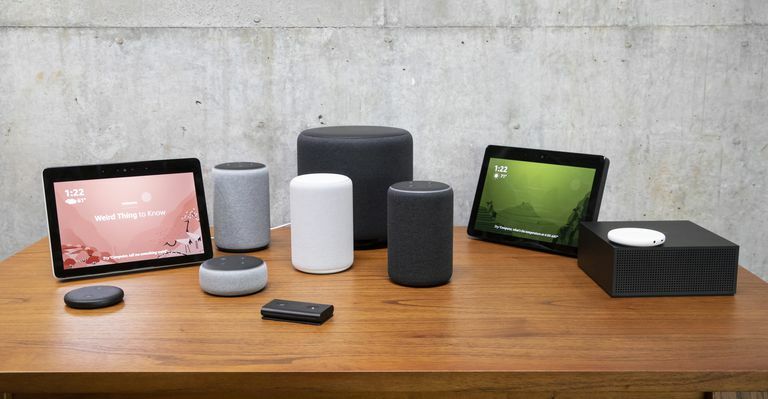 This information applies to Amazon Echo, Echo Plus, Echo Show, Echo Spot, and Echo Dot devices. Amazon Echo Connect is a separate accessory that connects your Echo device to your existing landline or VoIP home phone service. When Echo Connect is setup, Alexa-enabled devices essentially turn into convenient, hands-free speakerphones. Amazon Echo Connect will not make phone calls using mobile phone service. In addition to an Echo device and existing landline or VoIP home phone service, you will need to access the Alexa app on a smartphone or log in to alexa.amazon.com on a computer. If you use the Echo Connect in addition to your Echo device, you'll be able to say, “Alexa, call 911” and Alexa will connect you with local emergency services. If you prefer not to add another device or do not have home telephone service, there are several skills that could get you connected to someone who can help you in an emergency, but none of the following are 911 emergency services. This skill is not a substitute for 911. However, if you add this skill and set up your contacts, you can tell Alexa, “Ask My Buddy to send help” and the people you choose will be alerted by text/SMS, email and even voice phone calls. This Alexa skill lets you add as many contacts as you want for free. Again, this is not a 911 replacement, but you can use it to say “Alexa! Tell Guardian Circle I have an emergency!” and all of your “Guardians” will receive notification on their mobile devices. In addition, a chat room will open that includes a map showing everyone’s location — including yours. This allows everyone in your circle to communicate and determine the best and fastest way to send help. The people in your network don’t need an app when you use this skill (which does not call 911). Once you set up an account with My SOS Family, you can add unlimited contacts to get in touch with in case of emergency. Your contacts will receive text/SMS, email and voice phone calls. Note: This is not a free service. Although this skill is still not a replacement for calling 911 directly, it might be a good option if you don’t have contacts close enough to help you physically in an emergency. With this skill enabled, if you say "Alexa, tell SafeTrek to send help,” a Five Diamond Certified SafeTrek agent will send help to your home. Technology is constantly advancing and evolving. It’s quite possible that you will be able to ask Alexa to call 911 in the very near future and she will do so. Until then, these alternatives can help keep you and your family safe.